This useful key enables us to open paper towel dispensers and re-stock them. We had lost the original and finding this was a lucky break! The distance between the 2 pins is 19mm approx. Does this key fit a Kimberley-Clark Hand Towel Dispenser? No, this is designed to fit our own dispensers, which are listed in the description of this product. I have a lotus towel dispenser, would this key fit? These keys are only designed to fit our own brand dispensers. Designed for use with a variety of different devices, this Spare Key for Dispenser A Type is an essential addition to your resources. Offering an economical alternative to having to repurchase an entirely new device, this single key can be stored safely until required or simply kept as a backup. 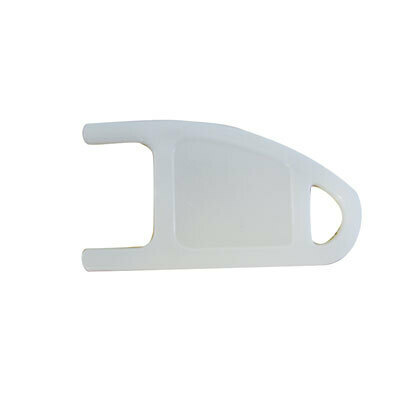 It has been cut specifically for use on a range of machines and has a connector loop which allows it to be linked to other similar unlocking tools.